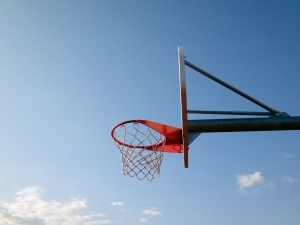 The former basketball coach for a San Diego area University has filed a lawsuit claiming she was wrongfully terminated in retaliation for pointing out the unfair treatment of the female athletes at the school. A consultation with an experienced Costa Mesa employment lawyer can help determine if you have been wrongfully terminated. The women’s basketball coach left suddenly in April after a phenomenal season in which her team won 27 games, more games than any coach in the history of the program. The coach claims that she was forced to choose between retirement, resignation or termination due to a video tape that caught an alleged instance of workplace violence. In reality, the coach claims that she was terminated due to her multiple complaints about unfair treatment between the women’s athletics program and the men’s athletic programs at the division one university. The alleged incident of workplace violence occurred in a game sometime in February of 2013. The coach is seen making contact with her assistant coach on two separate occasions, the first time it appears as if she hit a clipboard her assistant coach was holding and later in the game it looks like she hits her assistant coach on the shoulder. The head coach opted to retire so that she would retain her pension. Now, in her lawsuit she claims that the university breached its contract with her and terminated her for complaints of gender inequality in the basketball programs. Attorneys for the head coach state that their client complained on a regular basis about the discrepancy in support, equipment, and staffing between the women’s and men’s basketball program. One example of the coach’s complaints is that the university forced the coach to count male practice players as female participants for purposes of the school’s annual gender equality report. The coach claims that she did not intentionally attempt to strike her assistant coach. The coach had just filed a contract extension in July of 2012 that gave her an annual salary of $220,000. Her lawsuit claims that she not only lost almost $900,000 in future earnings but that her reputation has been damaged making it impossible for her to get employment elsewhere. According to documents , the university has paid the assistant coach $250,000 because his contract was not renewed. In retaliation and wrongful termination lawsuits it is important to remember that even if a person resigns it can be considered wrongful termination under the law. This is true when an individual is forced to resign as may have been the case here.